When the spirited young heroine, Princess Sophie, carries loyalty too far, her powerful new stepmother turns her six brothers into swans. Despite all the challenges set before her, can Sophie succeed in saving her brothers? Can she spin six shirts made from thorny thistle, while never speaking a word? 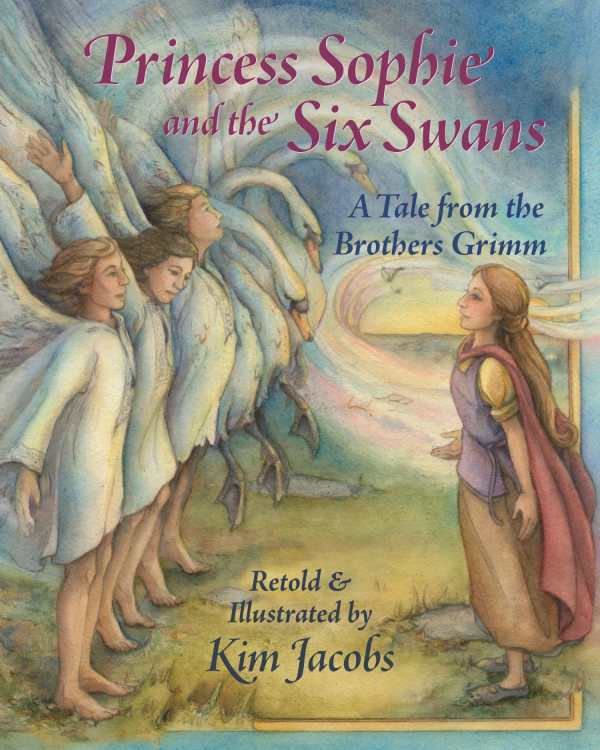 Featuring stunning illustrations by artist Kim Jacobs, her skillful adaptation of the Brothers Grimm story contains an author’s note with fascinating details on heraldry and swans.